Developing for mobile device is not easy. It doesn’t matter which platform (Android, BlackBerry, iOS, Windows Phone, etc.) one is developing for, there are simulators / emulators out there that help you run tests and debug your app right on your computer. However, it is always a big difference of what happens on a real device. Such ‘real’ devices are expensive and we small developers can’t afford to buy all of them. To be frank, almost all smartphone and tablet vendors do provide such developer devices for testing. Some give them away for free, some sell them very cheap, some loan them to you, and so on; but that’s a topic for a different article. 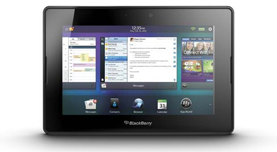 Today I want to talk about RIM and their BlackBerry Tablet OS platform. I am not sure whether the Android community is actually aware of the fact that you can just take your Android APK file, run it through a “repackaging” process and suddenly you have a brand new BlackBerry PlayBook app binary (.BAR extension). Now, we all know that RIM wants to regain market share which besides other initiatives is demonstrated in their goal of getting more Android developers to treat the BlackBerry as a real target platform. Therefore, every BlackBerry PlayBook as well as those new and shiny BlackBerry 10 phones will come with an Android runtime that allows to run those repackaged Android apps right on BlackBerry devices. Deadline for this offer is February 13th, 2012! How long do you need to wait before they send “Tablet Code Signing Key” to you? I’m waiting third hour now and I’m getting little upset because deadline is closer every hour now :(. The deadline has been extended to March 2nd, 2012.